This entry was posted in Smart Skin Blog and tagged ageless cleanser, body cream, dry skin, lotion, obagi cleanser, sutton ageless intensive hand cream, winter. Bookmark the permalink. Follow any comments here with the RSS feed for this post. Post a comment or leave a trackback: Trackback URL. 5. A nice hot shower sounds enticing, but don’t be fooled. Very hot showers can strip the skin of its natural oils and lead to dry skin. Limit the temperature and length of your shower. 4. Check the settings of your heat source at home to make sure there is enough humidity in your house. It is recommended that your humidity setting be between 30-50% in the winter. 3. 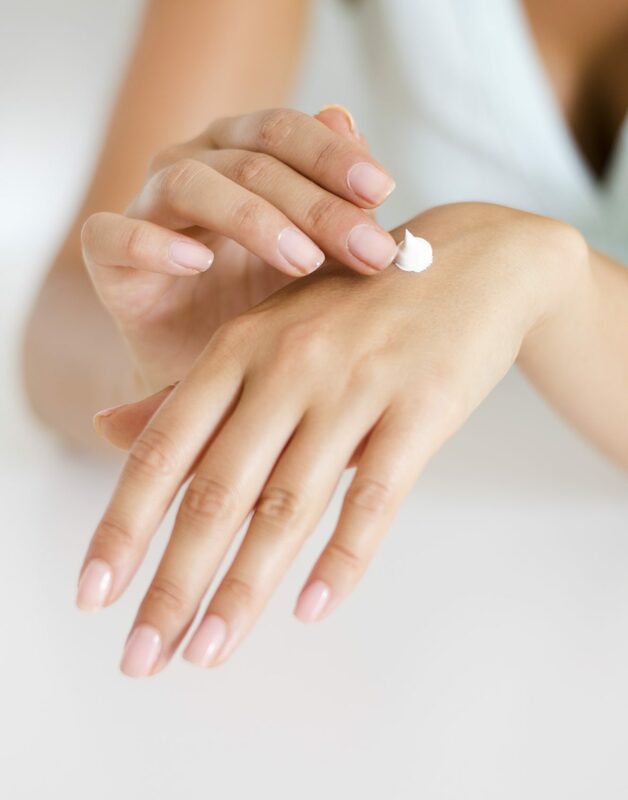 Apply moisturizing lotion, body cream, or ointments to your skin. Use them preventatively to keep the dry skin and itchiness from ever occurring. Creams and ointments are more effective than lotions. 2. Occlusion is an important term regarding treatment of dry skin. After showering, pat your skin dry with the towel but don’t wipe off the water droplets completely. Apply cream while you still have some water on your skin. This helps keep the moisture in. If the skin on your hands gets very cracked and dry, consider wearing thin white cotton gloves to bed to occlude the moisturizer. Many patients love the Sutton Ageless Hand Cream. 1. Harsh soap can be very drying. Limit your use of soap to essential areas. If you do use soap, choose a soap for sensitive skin. Try washing with non-soap alternatives including oil-based body cleansers. A recommended facial non-soap cleanser is Obagi Gentle Cleanser or Sutton Ageless Gentle Cleanser. We hope these tips help you with dry skin this winter! Dry skin can be an aspect of normal skin, but it can also be a symptom of other conditions such as Eczema (atopic dermatitis) or Psoriasis which might need additional treatment.